Who are you risking if you don’t remove asbestos from your home? Five reasons you need to get it out – today. You’ve found it – the perfect house. It has a gorgeous location, room to grow and so much potential. Plans of renovation possibilities dance in your head and you can’t wait to really make it your own. There’s a problem, though. A building inspection has revealed the presence of asbestos. You’re so determined to fulfil your property dreams that you go along with the purchase and figure you’ll deal with it later. But what are you risking if you don’t remove asbestos? Everything. What is it and why does it need to go? Asbestos has had a lot of attention in the Australian media, and rightfully so. This now-banned material was often found on construction sites due to its versatility. The current restrictions against its use, and removal, are because it is highly toxic. Breathing in asbestos is deadly and can lead to malignant mesothelioma, which is incurable cancer. There is no such thing as a ‘safe’ amount of asbestos when it comes to renovations. Studies indicate that if you leave it undisturbed then there is limited risk, but any damage to the materials – even if accidental – may release fibres, which contain the toxic properties. This must be factored into any building project you undertake. First and foremost – this is your family. These are your children. Leaving these chemicals in your home is putting them at risk of harm should you undertake a renovation project without a thorough removal plan. The rise of DIY culture has meant that many people dismiss the very real risk to health and safety involved when it comes to asbestos. Delaying removal and then doing it yourself might save time and money but will come at a grave cost. Asbestos was a popular material in Australian homes last century but you’re not going to find anyone using it now. It was banned in Australia in 2003. Consider the removal of asbestos in your home to be an investment in the future. Selecting materials that are safe and that will stand the test of time may be costly now but will pay off in years to come. When you were told that your home had asbestos it would have had an impact on settlement. If you go to on sell the home you’re in, it’s just going to happen again. Think of your (prospective) future buyers – are they going to back out of their purchase? Pre-purchase inspections are more than just a quick check for pests and a couple of boxes being ticked. They’re about ensuring a safe and sustainable purchase. Making sure to remove asbestos early will guarantee that, should you sell, you’ll receive a higher return. It’s not just renovations that can release asbestos fibres into the air. Accidental damage to the walls (like the kind that always happens if you’ve got kids) has sometimes been enough to knock it loose. Fire, storm damage, acts of God – these are all things that can shift your home and open the floodgates. Asbestos can be anywhere – water drainage, guttering, underneath floor coverings, in your roof. Think of all the places where something could potentially go wrong and ask yourself: is it worth the risk of leaving it? When you do decide to remove asbestos, securing the services of trained and licensed professionals is the only choice you can afford to make. The brittle nature of the material, particularly if you’re up in the roof, means that you want the best hands for the job. You also need someone who is willing to safely remove and dispose of the material appropriately. Worksafe’s Safe Removal of Asbestos Code of Practice (2011) means that hiring industry ‘cowboys’ who don’t know what they’re doing will not only put your family at risk but potentially incur huge fines. The team at Strongguard are industry specialists in the safe, appropriate and timely removal of asbestos. They’re one of the only teams in South East Queensland who are willing to take on the task of removing deadly materials within your roof. The danger and the need for accuracy demands the kind of skill that comes with over twenty years of industry experience. The entire team at Strongguard have gone through a thorough training process and achieved their asbestos removal accreditation (Course CPCCDE3014A – ‘Remove Non-Friable Asbestos’). 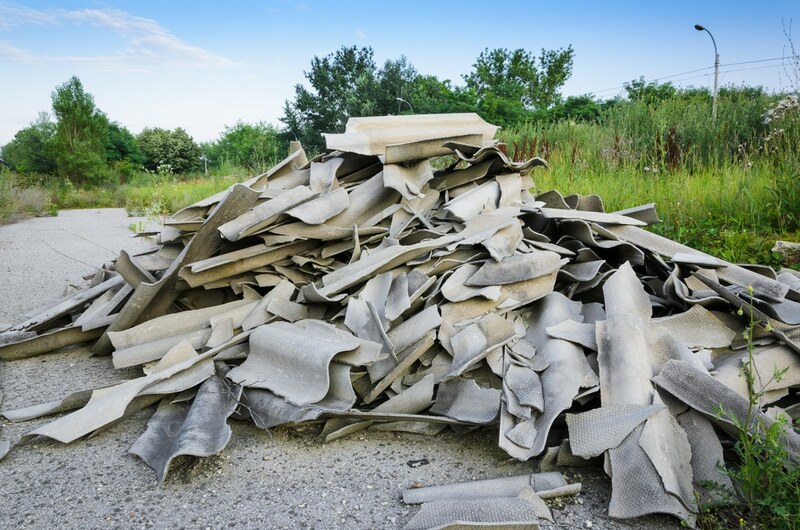 Once you remove asbestos from your roof you’ll also need it replaced. 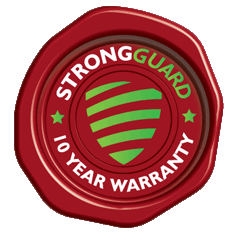 Strongguard can do this for you with top-of-the-line COLORBOND® or ZINCALUME® roofing materials. You’ll also be able to rest easy knowing that they’ve followed the codes and practices to the letter instead of taking dangerous shortcuts. You now know WHY you should remove it. Here’s HOW. Allow the industry experts to take over for you. When you remove asbestos you really are opening your home up to a range of great new possibilities! It’s the perfect chance to start looking at alternative roofing options. This is a great way to give your home the facelift it deserves so it’s something you can truly be proud of. Need help or advice about how to remove asbestos? The team at Strongguard can help! Contact us today.